iDivorceForms.com provides professionally completed, 100% court-approval, money-back guaranteed Mississippi divorce forms. Just create an account, complete the interview, and file for divorce. Our case managers do all the work for you, and send the completed Mississippi divorce forms when they are ready to be filed. 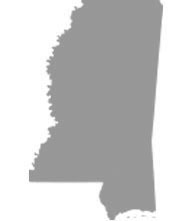 Either spouse must have been a Mississippi resident for 6 months or longer before filing the divorce papers. Mississippi residents may file for divorce under fault or no-fault grounds. Mississippi has adopted equitable distribution guidelines, which means all property (including gifts and inheritances) will be divided as fairly and equally as possible. Spouses may collaborate on the property distribution, but if they are unable to agree the courts will make a ruling. If the grounds for divorce is no-fault, the divorce forms in the petitioner's or the respondent's Mississippi county of residence. If the grounds for divorce is fault, the divorce forms may also be filed in the last Mississippi county the spouses lived together. "The interview questionnaire is very convenient and thorough." "great and helpful site for a first time user"
"got my stuff, got my divorce, and got on! this site is great. cheap, easy, fast, and enjoying the single life."